Your voice is crucial. Sign our letter so that elected officials hear you. The UN High Commissioner for Refugees called the current refugee crisis in the Middle East “the biggest humanitarian emergency of our era.” Historically, Harrisonburg and Rockingham County have been very welcoming to refugees and we intend to continue to help resettle those fleeing persecution and war. With no political solution in sight, the UN predicts the number of people affected by the conflict in Syria will further increase in 2015. 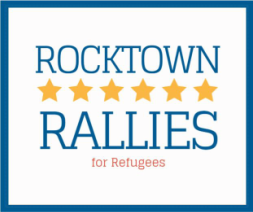 Our local community, through its refugee resettlement agency, has been engaged in the work of welcoming refugees for many years. We have witnessed the positive impact that refugees have made here locally and for the nation at large. That is why I ask you, as your constituent, to answer this urgent call by passing legislation to increase the number of refugees resettled in the US for 2016, and to further support the government in its humanitarian efforts towards this crisis. RCUSA recommends that the United States increase the number of refugees that we resettle to 200,000 for FY 2016, with 100,000 of them being Syrian. RCUSA believes that the United States must show solidarity with its close allies in Europe and resettle a small number of refugees from Europe, including U.S. family reunification cases, unaccompanied refugee minors, and refugees from Syria, Iraq and Afghanistan who have close ties to the United States (NGO workers, interpreters, people affiliated with US business and other interests). RCUSA encourages the United States to continue to urge other countries to increase their funding of the humanitarian response while at the same time continuing to increase the amount that the United States gives. RCUSA believes it is imperative that the United States engage with major development actors to encourage the expansion of development plans to include refugee and refugee host communities in a further effort to address the extremely dire conditions in which millions are now living throughout the region. The Middle East is experiencing a level of instability not seen since the end of the First World War. We need U.S. leadership now more than ever. You will be redirected to our petition housed at Petition2Congress, a nonpartisan petition service. By signing, an email will be directed on your behalf to your elected officials.